Gortex is of course the king, but there are many pretenders. And quite a few of them have adopted the suffix -tex. In a feeble attempt at humour I call all these 'waterproof/breathable' fabrics 'Mextex'. Not popular with some people who do not think you should treat such a serious subject in such a frivolous way. But how breathable are these fabrics, and others used in outdoor gear? I've consulted Chris Townsend on the subject. In my 2007 book in Swedish "Vandra Fjäderlätt". I dug into different fabrics used in clothing and tents, and tried to get at some facts that would make for objective comparisons between different products. These facts proved hard to find, which was also confirmed by Chris Townsend, whom I consulted on the subject. 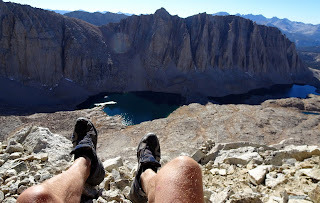 Chris is, as most of our readers know, one of the world’s most experienced long distance walkers. He has also tested all kinds of equipment for decades as a journalist for different magazines, in later years chiefly TGO. Chris has been kind enough to compile the following subjective list, based on his own experiences of different fabrics in different clothing. Both Chris and myself are interested information that can make the following subjective ranking from a very experienced user more complete and correct. This table is simply a comparison between different fabrics, where 0 means a material that does not let any moisture pass, like a black plastic trash bag. 100 on the other hand, means a fabric that will let all moisture pass. A mosquito netting might be the closest to this. We can see that material like Goretex Windstopper and Polartec Powershield, used in some so called soft shells, actually breathes less than eVent. Which in my opinion make softshells out of those materials rather pointless. They are not waterproof but still less breathable than some waterproof clothes. Schoeller Dryskin, also used in softshells, breathe comparatively well, but in my opinion they are too thick and warm for summer use. Chris Townsend is very fond of Paramo clothing for winter use, since the disadvantage with the construction is that they are too thick and warm for other seasons. This also brings them outside the scope of this book. Hej, thanks for the review. I think there are some mistakes in. Paclite is more breathable than Gore-Tex and XCR? I can not believe in it! I never had Paclite, but i heard enough in the Outdoor Store i worked in, about it- and i heard not very good things about it. Sil-Nylon is also not 100% steam-tight. The thin one with only simple coat breath a little! I'm almost not lucky about only to see plastic products here. Whats about Etaproof, Cotton-Polyester-Mix and Wool-Things? I certainly found early versions of Paclite more breathable than XCR. However I don't find the current version very breathable at all. I tested a softshell with a Paclite hood and shoulders recently and the Paclite was wet inside after just an hour and a half. I'd put current Paclite at around 25. Gore-Tex Pro Shell I'd give 45-50. With soft shells the degree of insulation presents a problem when estimating breathability. Some are so warm I sweat in them almost immediately. I recently tested two Power Shield Pro softshells. One had a a very thin lining and was quite breathable, around 45-50 on my scale. The other had a thick fleece lining and was too hot after an hour in subzero weather with a strong wind. I can't estimate the breathability as I haven't been out in cold enough temperatures - and it has been very cold here! The thinnest silnylon may allow a little stream through but this is negligible. I run hot and find Paramo too warm in temperatures above about +5C. However some ultralight backpackers find some Paramo garments fine in warmer weather. Colin Ibbotson for one. Scroll down this link for his review of the 3rd Elements jacket. For winter use, with very low risk of sleet or rain, I'm quite convinced that a classic windproof cotton shell is among the best you can get. At least for the short day-trips I've done. I sweat liters in my old Gore-tex jacket with all zips (pit-zips, pockets, front-zip you name it) open while skiing in temps around -4C, but I'm perfectly comfortable in my old home-proofed Swedish army anorak (from 1943!). I'm curious to know how people think these kinds of jackets work for longer trips. I would really hesitate to use cotton shells if there was a chance of prolonged rain though. I think Klättermusen claims their modern Einride cotton jacket can withstand ca 2h of rain. Not enough for summer use in Scandinavia and it is indeed marketed as a winter jacket. I think Jörgens scope here however was mostly jackets for summer use. Yes Gustav, you are right about the article above being about 3-season use. I suppose cotton would breathe well compared to Mextex. However, I stay away from it these days. I used an army snow shirt and a Norröna Anorak for ski trips for many years - both were 100% cotton. Both suffered from the same problems when getting wet; that is making yourself wet (soaked through) and freezing to cardboard if you took them off. My experience so far is that I can use the same clothing in winter as I use in summer, I only have to reinforce the middle layer in winter. But I find the Paramo clothing more versatile and simpler to use in winter than windshirt and rain gear. However, in hard wind or storm during winter I have experienced that shell clothing pressed hard against your body gets wet even in pretty cold weather. This is because the wind pressing on thin clothing (while you are skiing)will make your body heat melt the drifting snow, thereby soaking your shell garment. This is such a problem with cotton and polycotton that I stay away from these in winter nowadays. I experienced this with the Paramo clothing during a hard wind during last winters Sarek trip as well. However, even if the outside was soaked it did not wet through, and of course dried out very fast once I got into my tent. Thanks a lot for telling about your experiences. I did not know that wind-driven snow could melt that way. Maybe I should give Paramo a try this winter. Ver interesting - I've always found Gore-Tex Paclite less breathable than Gore-Tex Pro Shell but certainly eVent is better than all Gore-Tex. I have just spent a wad of cash on Páramo so I am pleased to see it even more breathable than eVent and yet still waterproof. I love it so far, so am keen to see how it performs in the Lake District and Scotland this winter. 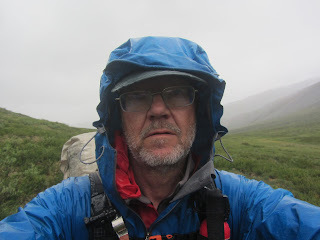 As for Pertex - I have always found it very breathable indeed and, although not waterproof, it is reasonably showerproof and dries quickly so it makes a great windshirt. Great review of the fabrics - thanks. Keeping dry from the inside in winter is the most important thing to me and nothing achieves this better than a highly breathable softshell. But I'm still dubious about heading out into the mountains without a hardshell. Maybe it is possible in the high mountains where any precipitation will be 'dry' snow. What I love so far about Paramo in the short time I've used it this winter is that it strikes a good balance between the breathability of good softshells and the waterproofness of hard shells. This means I can wear it all day without changing layers except throwing a belay jacket over the top at rest stops. Paramos problems? You need to keep it in good condition. Proofing isn't a problem at home but it will be interesting to see if it can hold it's DWR over an extended trip. My main problem is the design. I still can't find one model that fulfils my criteria in either the jackets or trousers. The cut is still questionable despite the newer models leaning towards 'multisport' functionality. And I know colour isn't crucial when you out in the mountains but you still have to pass members of the public to get there! What Paramo needs to do is hire one of the designers from Rab or Montane or Haglofs to really bring the brand up to date.